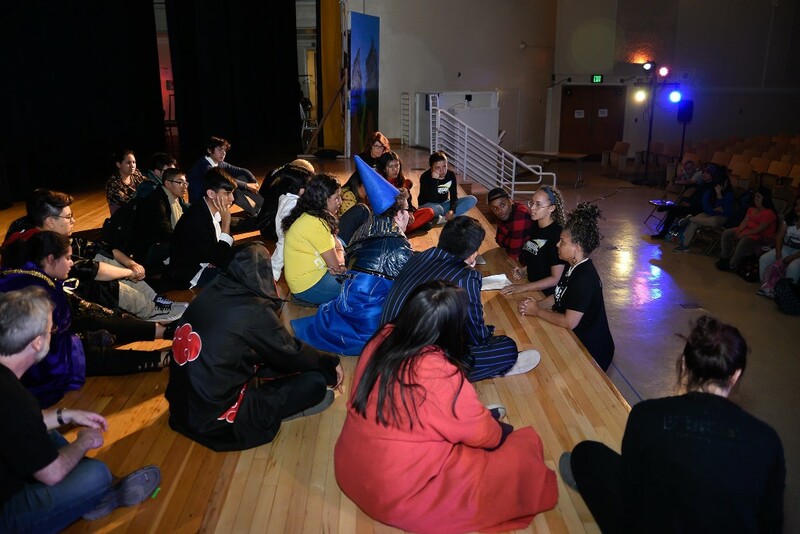 Last week our Executive Director, Melissa Denton, told you about the critical role of Teaching Artists and how The Unusual Suspects (US) ensures – with your direct help – that they have the tools to deliver quality programs. (click HERE if you missed it). I am Yolanda Androzzo the Program Director of US. The need for our programming is at an all-time high, which means the need for our high-quality Teaching Artists training is at an all-time high, as well. The tools that our Teaching Artists and Volunteer Mentors receive during their trainings allow them to develop the strategies and sensitivity to work with kids from the most historically marginalized neighborhoods – kids who are more likely to have PTSD, depression, anxiety, and/or anger. 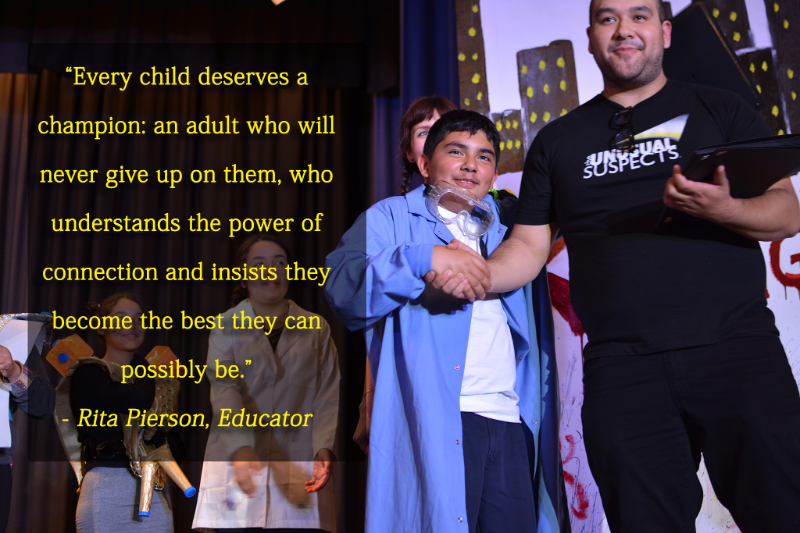 Through mentorship and guidance, our Teaching Artists create trust with children who have lost all trust. They foster introspection and confidence which, in turns, allows the students to understand their feelings and express themselves. Long-term developmental studies support what I and our Teaching Artists have seen first-hand: arts-education programs help build the very kinds of protective factors youth need to overcome risk factors and build healthy personal, family, and community lives. Don’t take my word for it. Click below to hear it from the kids we serve. We are still $9,000 away from our total goal of $12,000. If you haven’t made a donation yet, we hope you consider doing so today. If you already donated, we hope you are so inspired by our Teaching Artists, Volunteer Mentors, and overall program that you share this link. On behalf of everyone at US, I thank you. 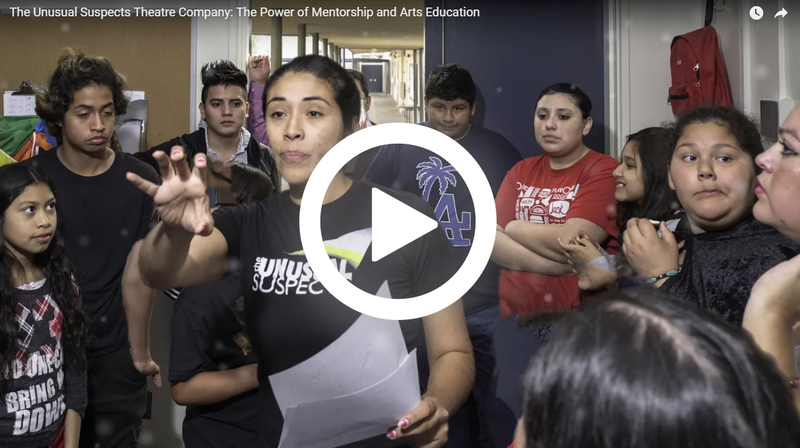 How does a Teaching Artist mentor a group of youth to create an original play together? Meet our Teaching Team HERE! 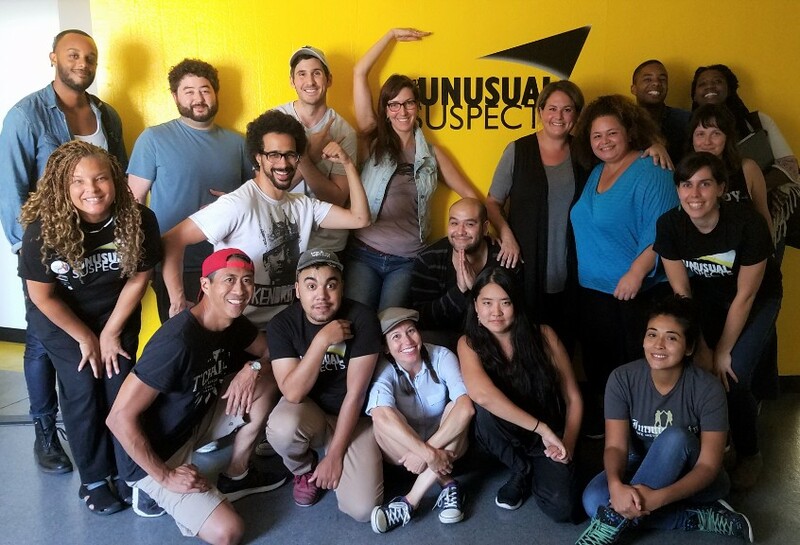 The Unusual Suspects Theatre Company believes every young person deserves to be seen, heard and understood. Through collaborative workshops, we work deeply to empower the hardest to reach communities to tell their stories together leading to self-discovery, a sense of belonging, and the building of stronger families and communities.